Re: Anyone know details on this? As long as no one sticks him with a spear, I'd have to guess that he's going to survive. Shouldn't he have waited until Friday? He is creating. He is standing on the ground. If you're going to do something, do it accurately. 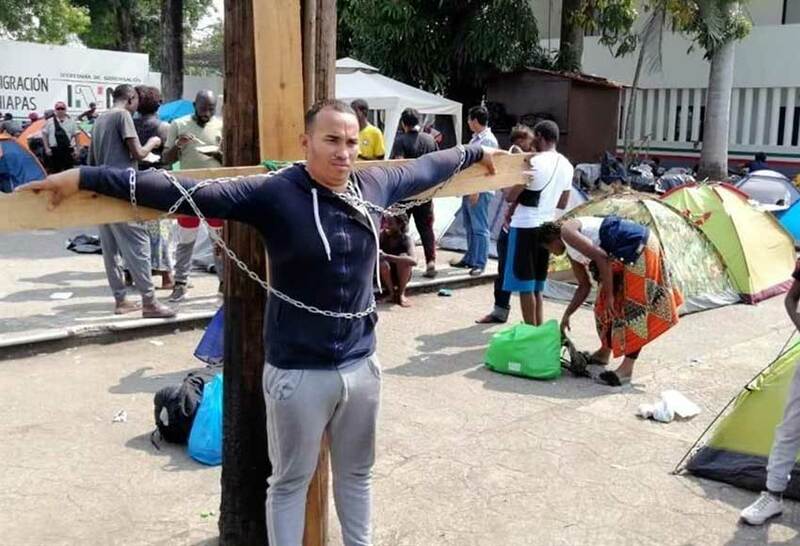 Ha ha , this is a very mild crucifixión. I am in Chiapas and have not heard about it so it was not big deal, we have a whole lots of issues way more important than someone chaining himself to some cross.. Down here people set themselves on fire when they really want attention, this guy is an amateur and stands no chance to get serious attention..